from 3 pcs. 20,12 EUR ea. from 10 pcs. 19,11 EUR ea. 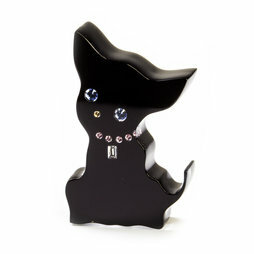 The little black dog with coloured Swarovski crystals has a strong magnet on the back and thanks to its cute gift wrapping it makes for a great gift for animal lovers and glitter fans. 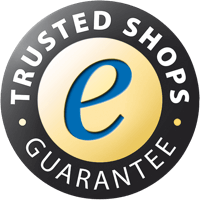 Through the worldwide unique IMPLEXIONS technique, the precious SWAROVSKI® crystals are embedded seamlessly and without bubbles in high-quality Plexiglas®. The dog measures approx. 47 x 31 mm. 1 pc. 17,04 EUR ea. A neodymium disc magnet 10 x 3 mm provides the dog an adhesive force of approx. 1.5 kg. The gem will be delivered in this distinctive box. The perfect gift idea for romantics, glitter fans and all those who could use a little glamour in their lives.